Promote and introduce your Universal and Planet business widely known to everyone! 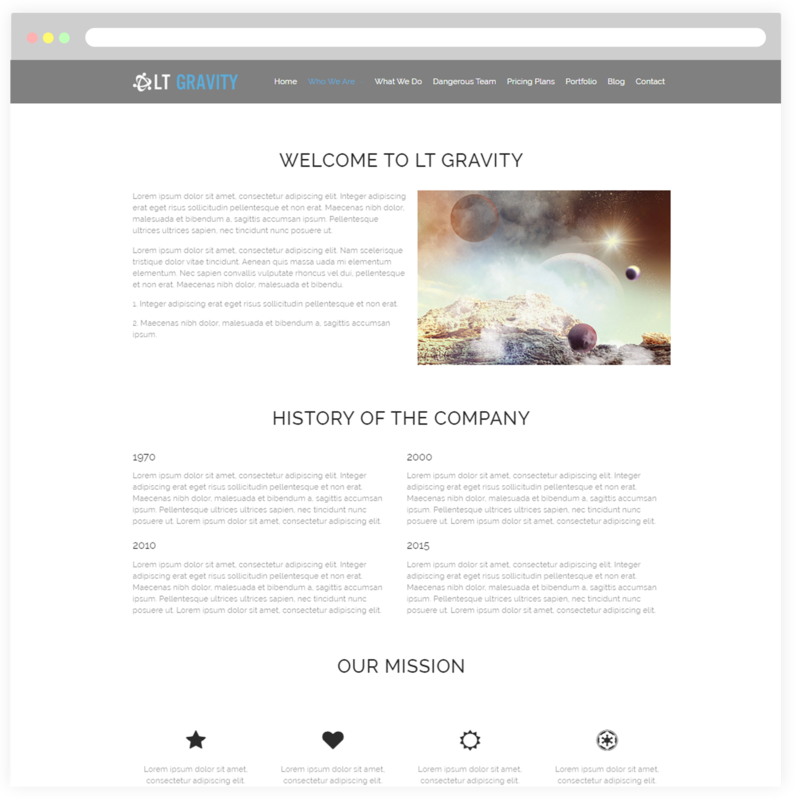 LT Gravity is a WordPress theme with premium and modern design which intended to Universe or Planet websites.This theme belongs to people interested in astronomy and space conquest. Updating continuously the latest information on activities relating to space. Obviously, human activity is no longer limited on land or at sea now, the space have been being our next destination. 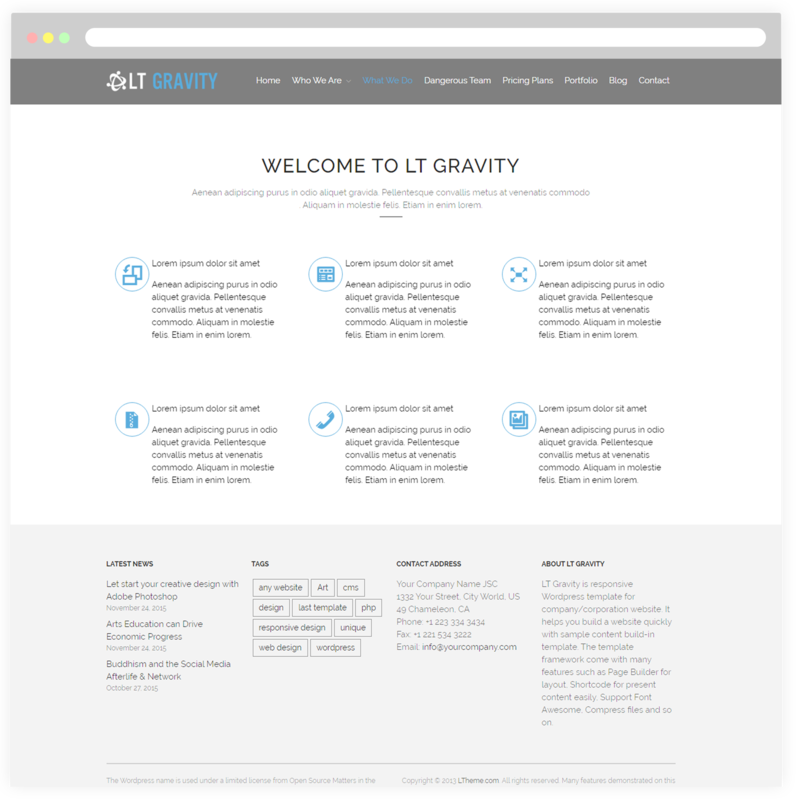 LT Gravity is designed to display neatly on any screen size. No matter that is desktops, tablets, or smartphone, it will fit automatically and look gorgeous on that. 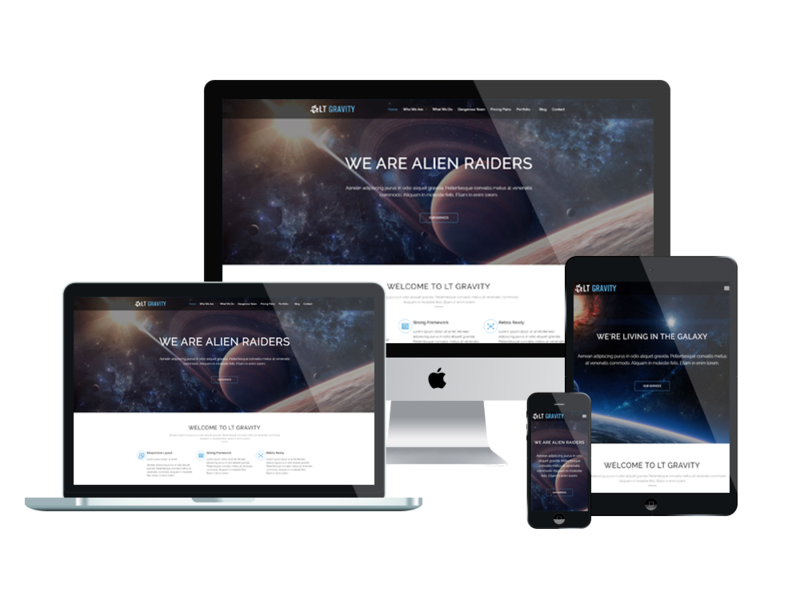 Developed mainly with latest website technologies, it is possible for you to take off the old clothes of your site and put on a new look with various layout! Come and enjoy it now! 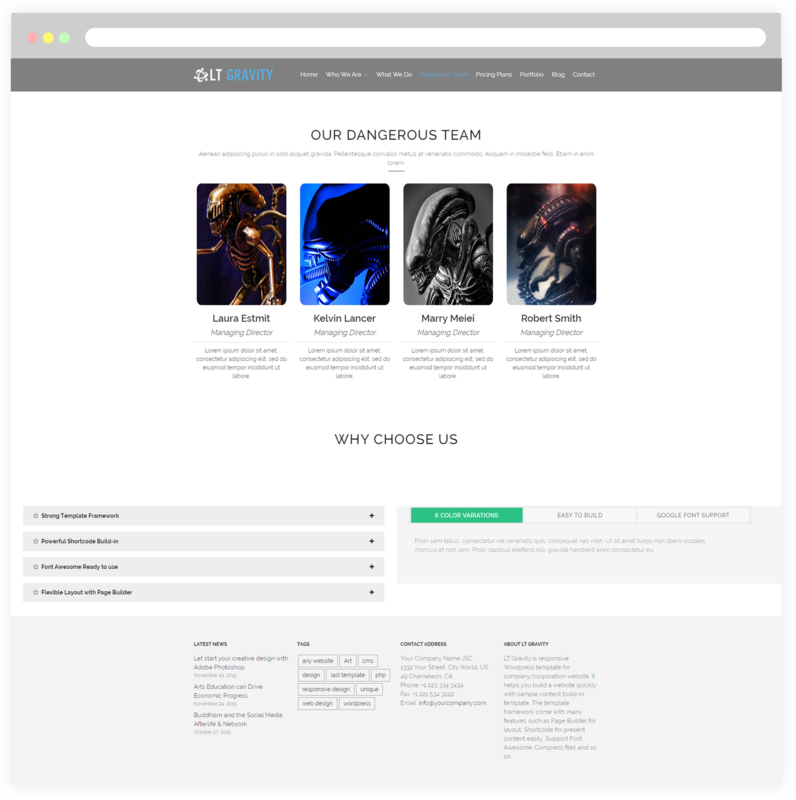 Let customers know who you are through this page, and you can present your mission, vision and history to everybody. And we can help people connect with you to join the team of your company’s work with a click. 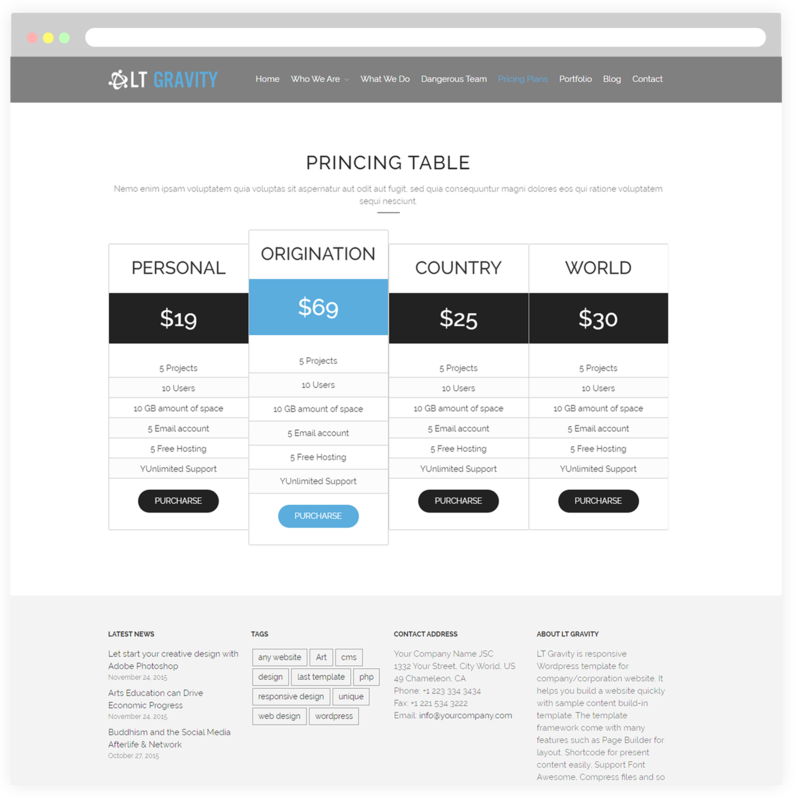 With this page, you can list your services in details by using their unique page template. 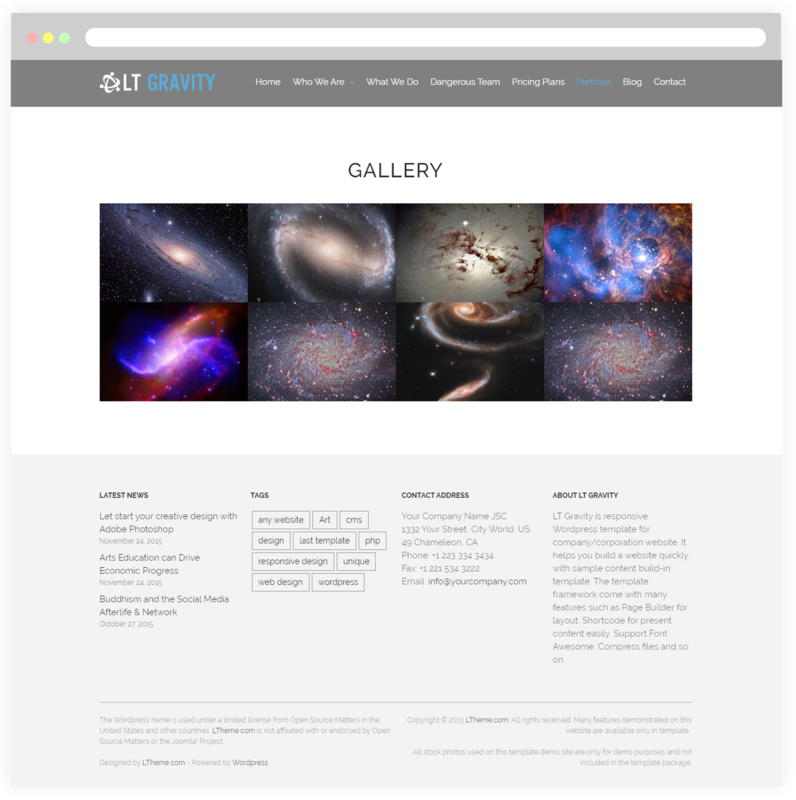 Besides, use the WordPress default gallery to showcase your achievement. 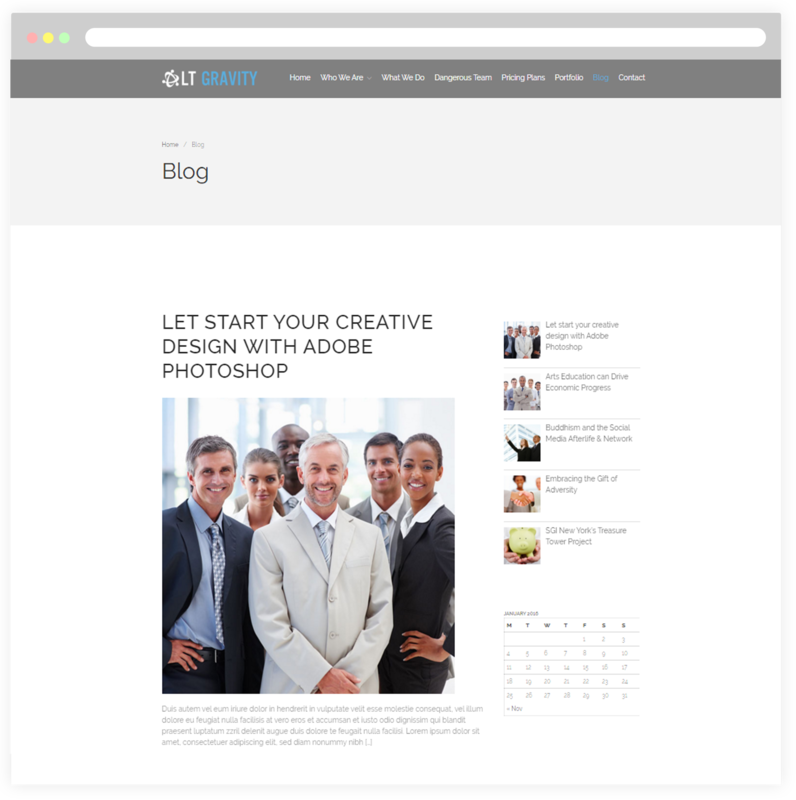 Introduce the dynamic team members of your company to customers. To rely on the information displayed on this site, customers can know about the personal social network pages of team work to exchange information rapidly and certainly. 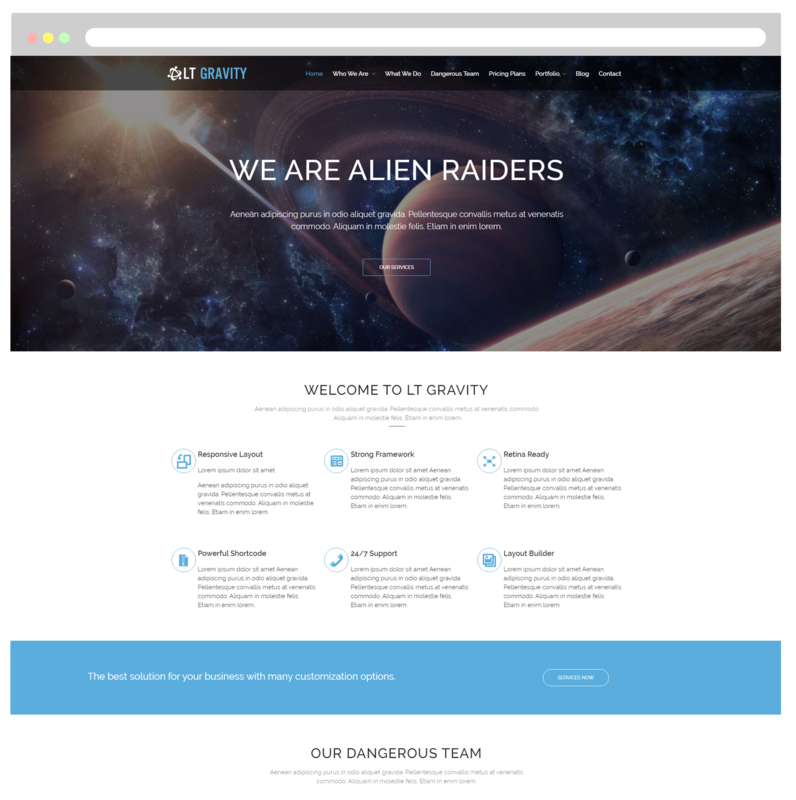 Portfolio page showcases mysterious gallery about planet and universe. It allows you to display a variety of wonderful images in an eye-catching manner. Write and share news about universe or planet on social medias like Facebook, Twitter, Google+… Also, you can set your blog posts to display on it. 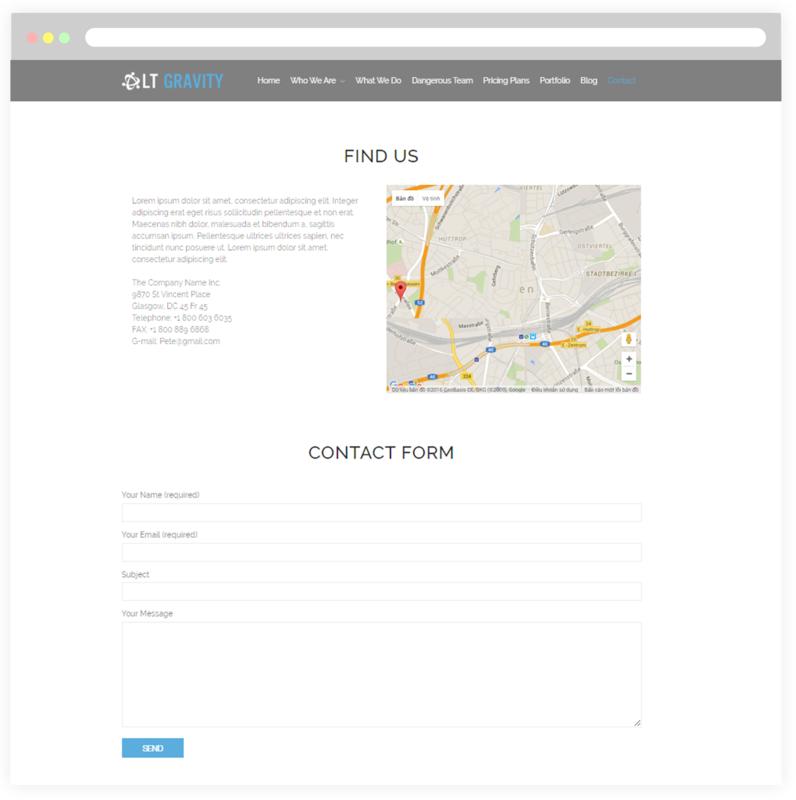 For this page, customers easily search address, phone or fax number of your company with separate tabs for each section. On the other hand, they can send their feedback via mail or navigate to your company’s location by map just a click.